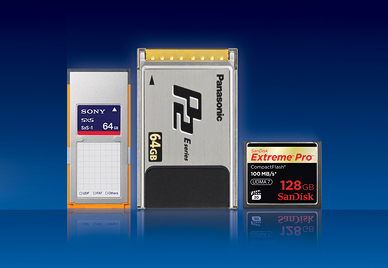 "As a solid-state card reader, the Qio accepts every kind of card your cameraman may hand you: P2 cards from Panasonic cameras, CompactFlash cards from digital SLRs or Red cameras, SxS cards from Sony, JVC cameras or Arri cameras, and SDHC cards (via an adapter) from everything else. This versatility is a big deal. As many folks move from tape to solid-state, they can buy one convenient reader that handles it all.